It goes without saying that water and electronic components do not mix. But even the absorption of the tiniest bit of moisture from the air can damage delicate surface mount devices and other electronic components enclosed with plastic compounds (moisture-sensitive devices, or MSDs). Often, this damage is invisible to the naked eye – which could result in substandard parts being used in production, then causing major problems for a manufacturer (and/or end users) down the road. 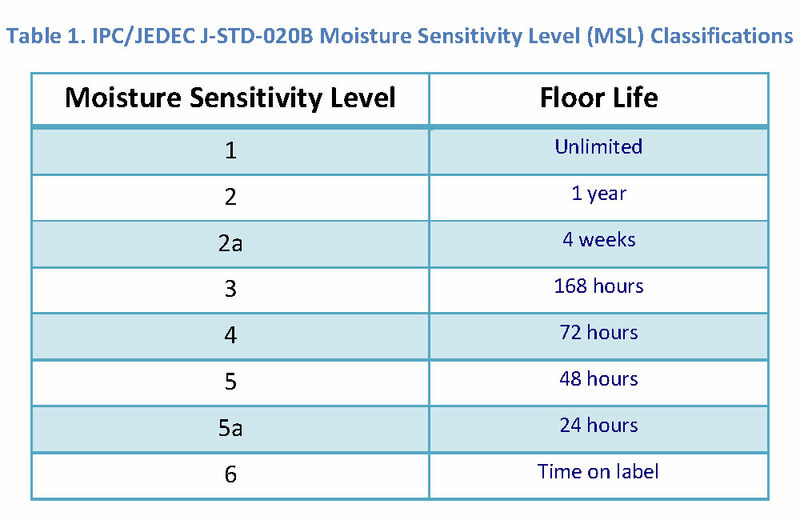 This is why Converge closely monitors and addresses the moisture sensitivity level of every MSD order that comes through our warehouse as part of our 76-point quality inspection. The problem with moisture absorption and retention inside a component is that the trapped moisture becomes steam when the device is subjected to sudden high temperature, such as during reflow soldering. This applies tremendous internal stresses to the package, which can result in separation (delamination) of the plastic from the die or lead-frame, wire bond damage, die damage, and internal cracks. In severe cases, cracks will extend to the component surface or the component can even bulge and pop. This is known as the “popcorn” effect. When a component cracks or buckles after it has been mounted to a board, it destroys the entire board. Thus, one small part can put an entire production line down, resulting in thousands or even millions of dollars in damage. 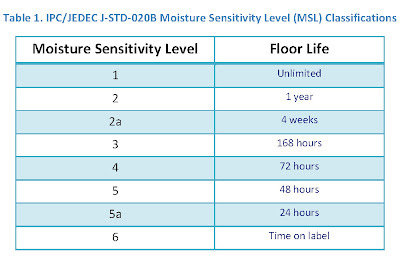 The “floor life” is the length of time at each level an MSD can be exposed to ambient room conditions (approximately 30°C/60%RH) before being mounted and reflowed. This presents an added challenge to independent distributors, who often process orders that are no longer in original factory packaging. When an MSD order arrives at Converge, the packages must be opened so that components can be properly inspected for any kind of discrepancy. But as soon as the packages are unsealed, the exposure clock starts ticking. Converge inspectors use the MSL chart as a guide to determine how to properly protect components before shipping them to our customers. To find out more about how we do that, including our in-house baking process, read "Protecting Moisture -Sensitive Devices Part II of this series now. Later this year, the Independent Distributors of Electronics Association (IDEA) plans to formally introduce IDEA-QMS-9090. This new standard is the first of its kind, establishing a quality management system specifically for independent distributors. Converge’s goal is to be among the first independent distributors audited and certified to IDEA-QMS-9090. Back in 2011, Converge Quality Manager Dwight Gerardi blogged about how IDEA has changed the electronic components industry. When the association was formed in 2003, it put together the first reference manual of industry best practices and recommendations for inspecting and testing electronic components in the independent market. 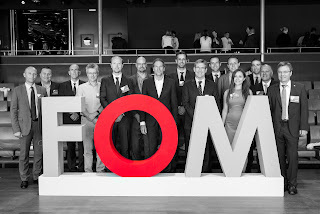 Prior to that, it was up to each independent distributor to ensure parts met customer requirements based on its current knowledge and experiences. Thus, IDEA helped independents capitalize on a universal truth: collectively we are smarter and stronger. Converge has been an IDEA member for years, which our customers value. They know that independent distributors that are accepted into IDEA membership have met a long list of requirements, including ISO 9001 and ANSI/ESD S20.20 certification. ISO 9001 is the internationally recognized generic standard for the quality management of business operations. ESD certification shows that a company has an electrostatic discharge control system in place. IDEA-QMS-9090 is not meant to replace these valuable certifications but rather to build upon them. Companies that want to attain 9090 certification must already be certified to ISO 9001 or equivalent. The new certification adds intensive requirements that will help independent distributors align to industry best practices in areas such as component inspection procedures and vendor management. As the standard states, "The objective of this commercial Standard is to establish specific requirements and practices Independent Distributors of electronic components can use to help ensure that they satisfy their customers’ requirements.” Conversely, manufacturer customers of the independent market will be able to more easily identify distributors that meet their exacting quality standards by looking for the 9090 certification. It’s an improvement on both sides of the equation.